Isn’t it annoying when you are having a delicious meal and out of nowhere you see a fly sharing your food? No matter how many times you ‘shoo’ it away, it just doesn’t seem to stop buzzing around you. Well, if this happens with you quite often, then your home might possibly have a fly infestation. You need to take action immediately; these pests reproduce at an astonishing speed! Flies and Flying Insects – Who Are These Buzzing Creatures Sharing Your Home? 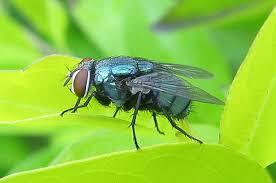 Flies are insects of the order Diptera. Estimates show that there are over 240,000 species of flies and flying insects. 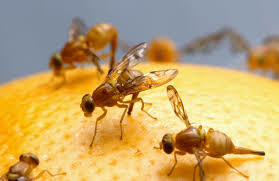 The most common types of flies that are found in homes are fruit flies and houseflies. A typical fly has a small streamlined body, compound eyes, antennas and pair of flight wings on the mesothorax and a pair of halteres, their hind wings. Flies in urban areas are commonly found in homes, restaurants and facilities with unsanitary conditions. They are attracted to garbage and dumps. any warm or moist area where they can find sustenance. According to studies, in some conditions and warm weather, eggs may also hatch within 24 hours. Flies, especially house flies, have been recognized as disease carriers. They collect pathogens on their legs and their mouths. It takes only a couple of minutes for them to transfer it to your food or any other surface. Some of the common diseases that flies are known to transmit include cholera, typhoid, anthrax, tuberculosis and dysentery. They are also known to carry and transmit eggs of parasitic worms. Therefore, if your home is infested by these measly flying insects, then you better take measures to exterminate them before they cause you harm. The smell of maggots. The smell emanates from rotten food or dead creatures that maggots feed on. Clean up the area immediately where you eat. If you find food crumbs on the floor, pick them up right away. Mop up sugary liquid spills. This can help you keep flies from buzzing around. Never leave your dirty dishes in the sink for long. To prevent and control fly infestation, you need to observe excellent hygiene practices. And doing the dishes definitely makes the list. 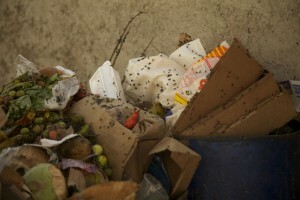 Flies are attracted to garbage and trash bins. Therefore always use a garbage bin that can be covered tightly. This will keep the flies away. Also, make sure you take out the garbage before you go to bed. If you feed your pet inside your home, then it is important that you remove its uneaten food right away and clean the pet food dish properly. If the infestation is serious, then you may want to use pyrethrum based sprays. Follow the instructions and use as recommended. As these sprays are made of strong chemicals, use them with caution.